Do you have a tight schedule that takes you away from home with barely enough time to spend with your dog? Does your furry friend give you a sad face when you are about to leave for work? Dogs suffer from separation anxiety when they are left all alone all day. This may cause the dog to bark and whine due to insufficient socialization, and this may cause trouble with your neighbors. Well, this is where a dog daycare and boarding comes in. A dog daycare operates the same way a human baby daycare does. You drop your dog at daycare on your way to work and pick him/her up afterwards, for a fee. In the daycare, your pooch is pampered and gets to spend time playing with other dogs and caregivers. If you travel for work or take trips where pets can’t join you, finding a reliable dog sitter or leaving your dog at a boarding facility are the best solutions. Being away from home and pets is hard enough, so be sure that the boarding facility provides professional services to help your pet feel at home when you’re away. Tour the facility. Get to know the staff and raise concerns to learn how they problem solve. Check if the staff is properly trained to handle, train and care for dogs. Are they staffed to cater to the number of dogs? Check the vaccination records of dogs your pooch will spend time with. Find out how your pet will be cared for in the event of emergencies. Look for a facility with amenities like Healthy Hound Playground which offers plenty of interactive options. This is top of the list because dogs need company during the day. This eliminates separation anxiety which causes destructive behavior around the house. In a dog daycare, your pooch learns socialization skills and forms friendships as they interact with other dogs and their caregivers. The confidence level of the particularly timid dogs is also boosted. Dogs need it, just like humans. So as a dog parent, it’s your duty to ensure that your dog receives attention when you’re away or don’t have time to walk them, cuddle and snuggle. Ensure that doggy daycare or boarding offers that. A dog daycare and boarding that offers grooming services is a plus for you and your pooch. Your dog gets professional services like a dog spa session that leaves him fluffy and rejuvenated. Killing boredom is one of the most important reasons to take your dog to the daycare. At the daycare, the dog gets to run around, play and exercise on the playground with their friends and caregivers. This reduces anxiety and helps them to keep fit. 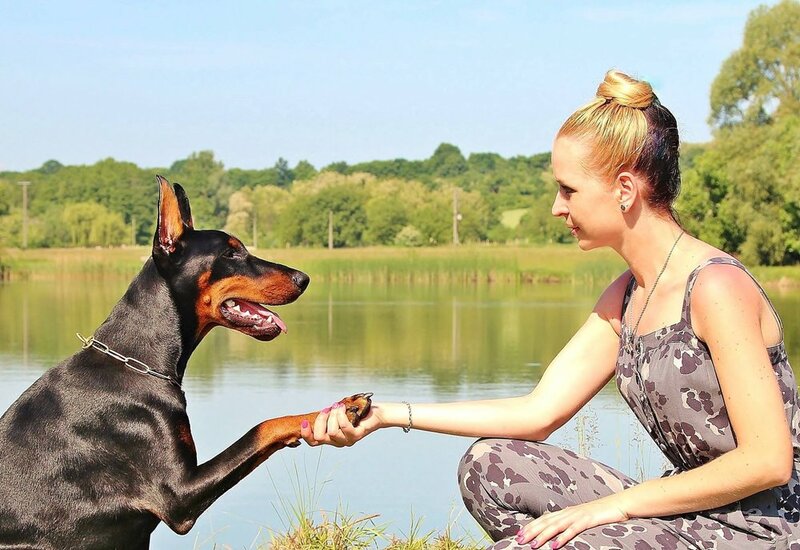 At the daycare, your dog learns various obedience commands which are essential in tackling behavioral problems that may crop up in their growth process. If you have to leave your pooch at a daycare or boarding facility, make sure it’s as homey as can be. Take personal items like blankets and toys to make your dog feel relaxed in new territory. This is because dogs rely on smell and familiar belongings to feel at ease.